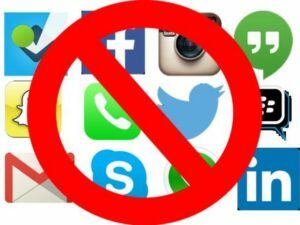 Uganda Communications Commission Executive Director, Godfrey Mutabazi has said that telecommunication companies will block virtual private networks (VPN) applications that are aiding Ugandans to evade social media tax. VPN enables internet users to use data bought from Uganda telecom companies but hide their Internet Protocol (IP). The IP addresses are distributed geographically and can be used to identify internet users’ location. People with VPN unblocked their social media sites without paying tax. Mutabazi told this reporter that telecom companies promised and are already blocking VPNs. But he added that there are many VPNs, admitting that not all of them can be blocked. Mutabazi further argued that those who are going for VPNs instead of paying the social media tax are taking an unwise decision. He said VPNs consume more data than the Shs200 that is paid as social media tax. Mutabazi said Ugandans should pay the tax instead of going for VPNs. “It’s a government decision it’s not a UCC decision. People should pay tax. It’s a law, if the government says pay tax, you should pay,” he said. On Thursday telecom companies notified customers that they would be required to pay Shs200 per day, 1,400 for a week or 6,000 for a month to access social media lest they would be blocked. When contacted for comment on blocking VPNs, MTN Uganda spokesperson Val Okecho had no immediate comment. However, he promised to consult and call back. A constitutional petition challenging the tax was filed in court on Monday.